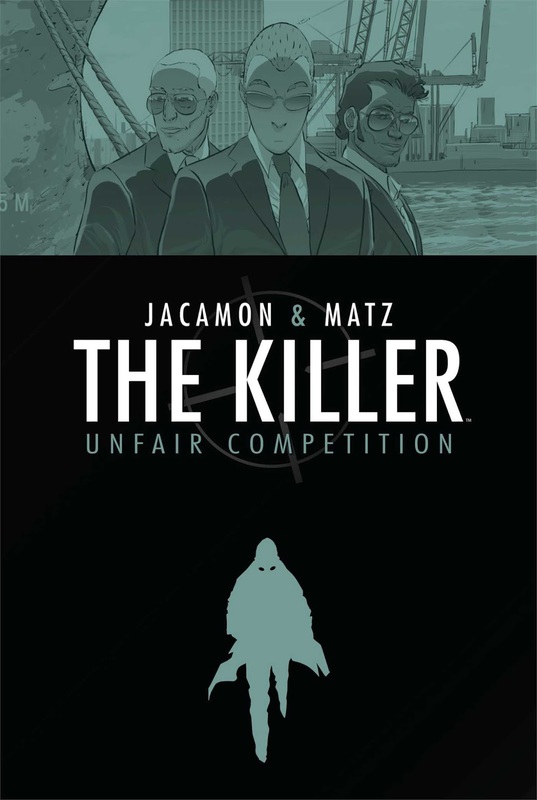 I remember being very impressed with the first Killer mini-series, when Archaia first started published translated versions of the French series. It had a tight plot and I loved Jacamon's art. I was also intrigued by the title character, who floated through the world as an expert assassin, and who doesn't think much of people, or connect to them. 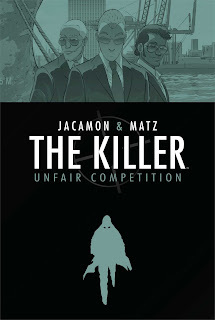 I followed The Killer through his next two miniseries, but when Archaia was bought by Boom!, either they never published this fourth volume as a mini, or I somehow missed it. It was good to return to these characters, but the storyline in this volume is pretty unfocused and a little unbelievable. The Killer's drug connected friend decides to diversify, what with the drug cartels becoming too murderous, and decides to start an oil exploration company in Cuban territory that really irks the United States. The business stuff, even when the wheels are greased with drug money, seems just too easy and quick in the context of the story, and there is a definite lack of suspense or danger to this story. There are places where things wake up, but in the final analysis, this series became a case of diminishing returns. Jacamon's art remains a real high point, but this volume incorporates a lot more photography than the previous one. There is one more volume in this series, which was published last winter, but I'm not sure that I'm all that interested in reading it.